Svitoslavsky, Serhii [Світославський, Сергій; Svitoslavs’kyj, Serhij], b 6 October 1857 in Kyiv, d 19 September 1931 in Kyiv. (Photo: Serhii Svitoslavsky.) Landscape painter. 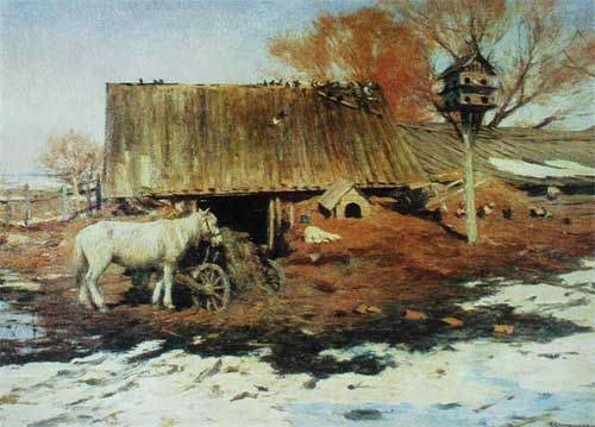 After studying at the Moscow School of Painting, Sculpture, and Architecture (1875–83) he returned to Kyiv. 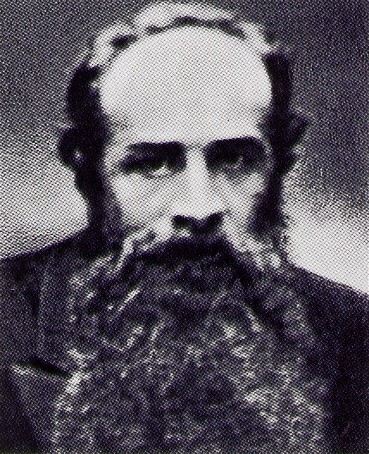 From 1884 he took part in the exhibitions of the Peredvizhniki society, and in 1891 he became a member of the society. During the Revolution of 1905 he contributed to the satirical magazine Shershen’ and helped students expelled from the Kyiv Art School. 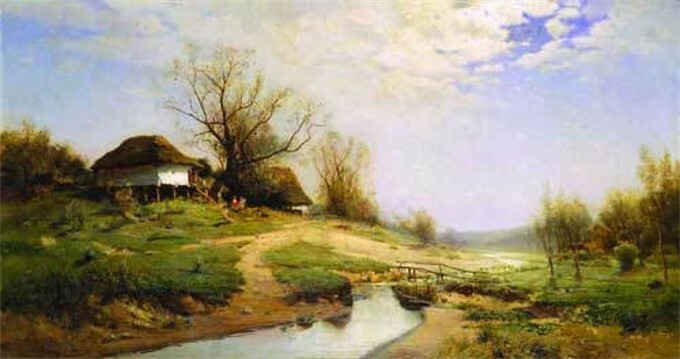 His landscapes are noted for their colors. 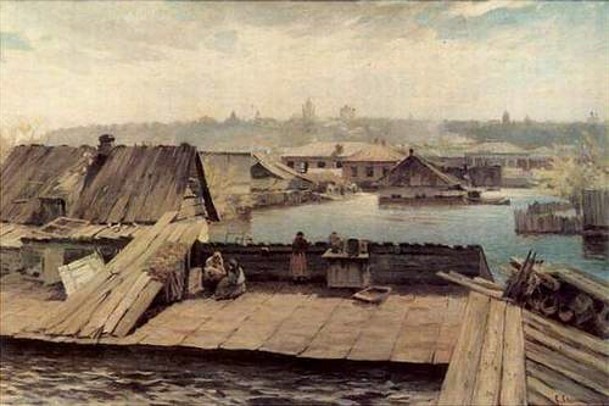 Some of his best-known works are Dnieper Rapids (1885), Oxen in the Field (1891), Street in a County Town (1895), Myrhorod (1905), Winter (1905), On a River (1909), Ferry on the Dnieper (1913), Vicinity of Kiev: Winter, Vicinity of Kiev: Summer, Windmill, and The Dnieper at Dusk. 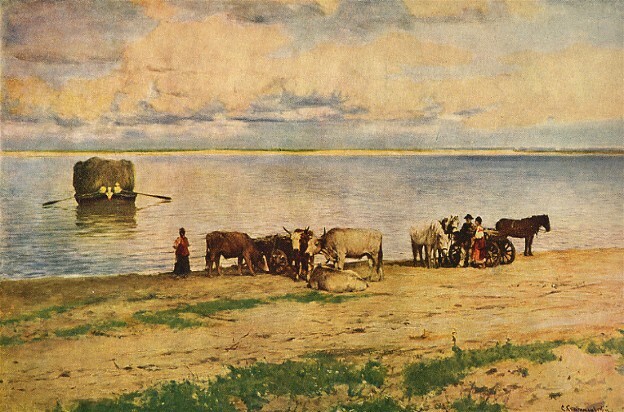 His travels in Central Asia in the late 1890s gave rise to a group of landscapes, including Steppe, Goat Herd in the Mountains, and Ships of the Desert (1900). 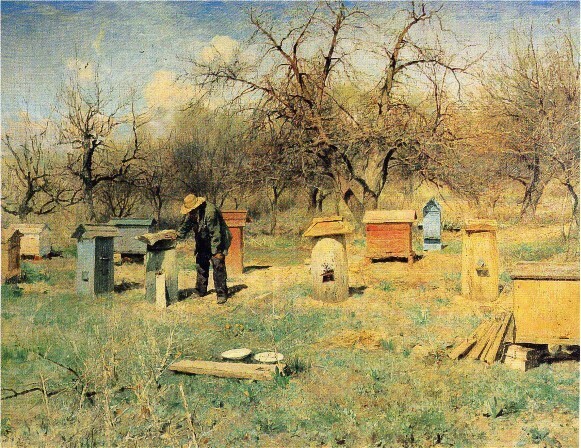 After his eyesight deteriorated in the early 1920s, Svitoslavsky gave up painting. Albums of his works were published in Kyiv in 1955 and 1989.